View our new hiking page here! The sizzling Florida summer days are finally cooling down. It’s official, we have now entered Fall. That’s great news for hikers after a long, hot summer. Time to get those hiking shoes out as there are some great hiking spots within a short distance of Pensacola. 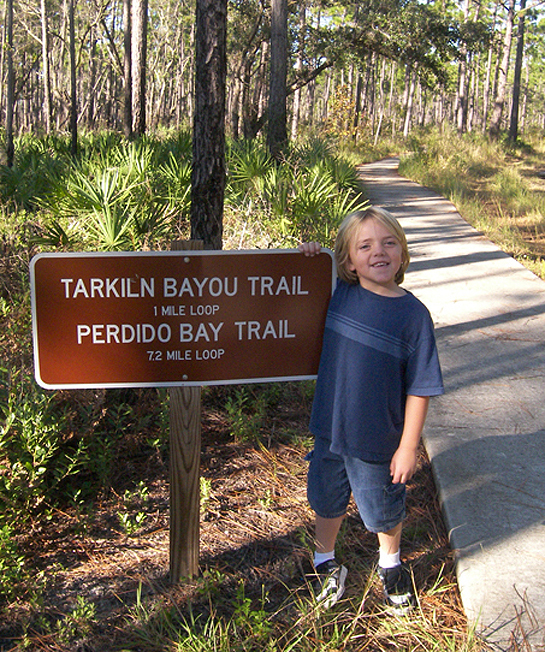 There are many trails located near Pensacola that are great for a fun family outing. Some trails such as Tarkiln Bayou, Arcadia Mills, and Sweetwater Trail are handicap accessible. If you’ve never taken your kids on a hike, now is a great time to go hiking with those little explorers. To help you get started, we’ve put together a list of hiking areas near Pensacola.